Last known price is 25% above the initial Lego retail price! 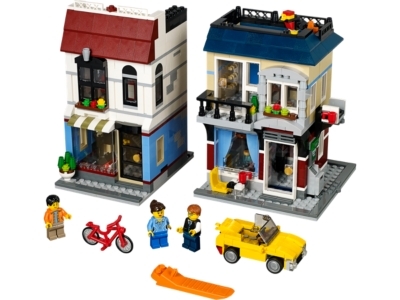 The Bike Shop & Café (31026) Lego set is no longer directly available from the sites below. However, 3rd party partners of these sites might still have the set available. Alternate description The LEGO® Creator Bike Shop & Café is packed with exciting, imaginative details and can rebuild into an auto repair shop or a flower shop.